The 3 lesson package is our most popular option each summer as it provides a progressive learning experience for keen new surfers. Each participant will learn the fundamentals before gradually developing into a confident surfer. Our qualified instructors will progress each surfer at their own rate but they have no control over accelerated fun! A great value free show bag is included with this package. 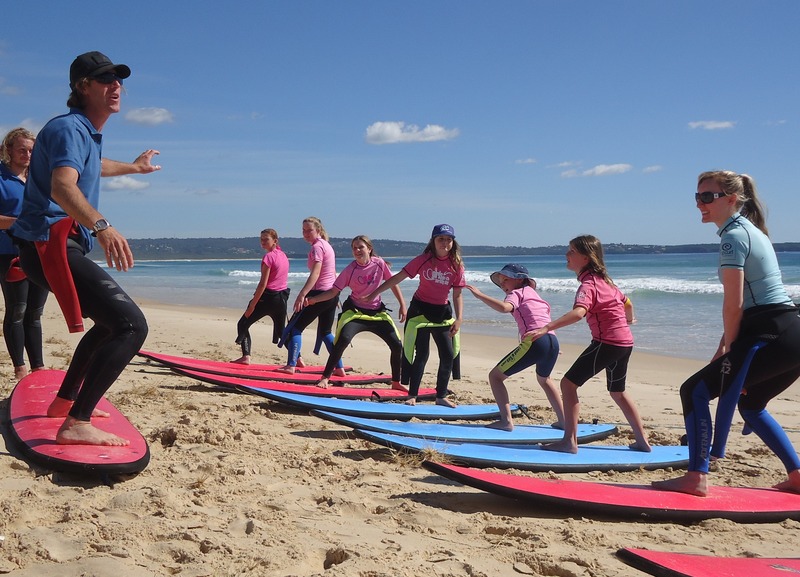 Each 3 lesson package participant also receives a free Stand Up Paddle hire voucher to be used at our Merimbula hire trailer during the summer holiday period. Once you have booked your 1st lesson on the calendar, call our office or email to secure the 2nd and 3rd lesson dates. The lessons are offered everyday at Pambula Beach and 3 days per week at Tathra Beach. Please arrive at your lesson 5 minutes early so you can complete your indemnity form and fit your wetsuit.